Whenever we talk about the latest trends that the mobile app development companies will be hit by in the coming times, one of the trends among the top 10 is mobile payment apps. Although, seeing the users shift from currency notes to mobility, a number of brands have emerged in the revolutionary field, there are only a few which the users have grown accustomed with and are using for their everyday transactions. In this article, we will look into the seven mobile payment apps – both for fiat money and cryptocurrency that are now witnessing maximum downloads and acceptance. But, before we begin, let us look into the various type of mobile payment options that are presently in the market. SMS based mobile app payments simply mean paying for a product through a text message that is sent by one user to another. Since it does not involve knowing the card and bank details, it is considered one of the most safest and credible mPayment methods. There are websites like instamojo that offer payment gateways to aid SMS Payments. 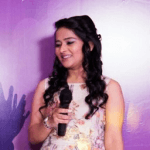 What they do is that they create payment links which can be then send over to the customers or your friends, who get multiple payment options like Net Banking/ Debit and Credit Card/ UPI/ Wallets when they open the link. Popular examples of Mobile Wallet Apps would be Apple Pay and Google Pay. The idea of Mobile Wallet app or the answer to how mobile wallet works is that it is a platform where you can save your card information, so that when you buy products, you won’t need to carry your card with you, physically, card on you. Apart from aiding direct purchases with the ease of saved card information, users can also make on spot purchases through barcode and fingertip scan induced payments, which come packaged as part of their smartphone app. Since mobile wallets deal with bank information, they make use of the EMV technology which includes creation of one time password that is then sent to the user’s bank to verify. Although a fairly new entrant in the mobile payment market, NFC payment apps have already themselves a widespread adoption. Using the Near Field Communication technology, smartphones connect with each other or with Point of Sale devices and then payment can be made with the help of radio frequency identification method. But, in order to make successful NFC payments, the devices need to be at least 4 inches close to each other. WAP Payments mean making payments on a web page or application through an active internet network. Whenever users directly buy a product off a website from their smartphone, without going through mobile apps that save their card information, they are making WAP Payments. For Example: Suppose you like a shirt on Amazon, now when you make payment on Amazon by filling in your bank account data, you are doing a Mobile WAP Payment. Almost all your other mode of Mobile Payments such as mobile wallets, sms payments, are a part of WAP Payment. Now that you know the different ways you can make payments using nothing but your smartphone, here are the mobile payment apps for business and P2P payments that are currently witnessing maximum demand from the 59% of global millennials who are on a verge of kicking currency notes out of their life and becoming 100% digital, money transaction wise. 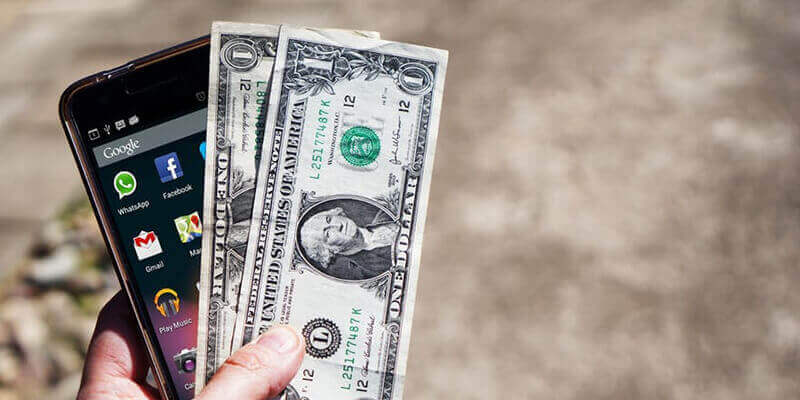 Here is the list of the top 10 Payment and Mobile Wallet Apps for Android and iOS that have gained immense popularity for themselves within a decade (as for the cryptocurrency ones, within a time span of two years). Apple Pay app is present on every iPhone device on and after iPhone 6 and iPhone 6 Plus. The app that has created new standards for iPhone application development companies, is accepted as a mode of payment in over millions stores worldwide like Trader Joe’s, Staples, and Walgreens, among a number of other international retail chain. Moreover, using Apple Pay, users can purchase stuff off from Safari browser. There are a number of online stores, which also accept Apple Pay option at the time of checkout. The application is present for use in the United States along with a number of other countries. Available for download in the Android devices, Android Pay app is also accepted at over million of U.S. restaurants and stores such as Jamba Juice, Babies “R” Us, and Fuddruckers. The application also help users make purchases online when you are using Chrome as browser or are initiating some in-app transactions. At the checkout stage, Android Pay auto-fills the payment and address information, which allows users to skip the tiresome process of manually filling in the information, completely. With the perks that Android Pay comes with, make it one of the best mobile payment apps for business. Making mobile payments using PayPal is one of the easiest and most convenient modes of transactions. The users only need to link the PayPal account with phone, set a PIN and go ahead with completing the checkout process at an accepted payment terminal. PayPal makes transactions safer by giving the merchants payment and not card detail or other bank information. The popularity that comes attached with the application has gained it over 227 million active users. 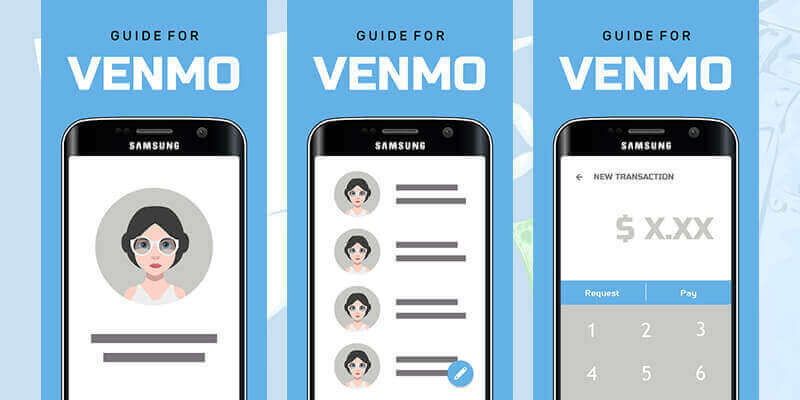 Venmo is a free of charge money-transfer application introduces by PayPal, which allows the users to securely and quickly request or send money among family and friends only with a touch on their mobile app. The application is available in both iOS and in a wallet app for Android version. It needs you to create an account via Facebook or email. Once you are set up, all you have to do is link and then verify the bank account details including the debit and credit card info and you’ll be ready to begin. Money can be transferred from your Venmo to the bank account within 24 hours. Available for download on both iOS and Android devices, The app enables users to send, ask for, and then receive the payments from people they know. Operative primarily in the United States, it is prerequisite for the users to have the phone number and email address of their peers whom they are sending or asking money from. All the transfers are done through the debit card information that is registered on the app. Google Wallet charges no fees for money transfer. 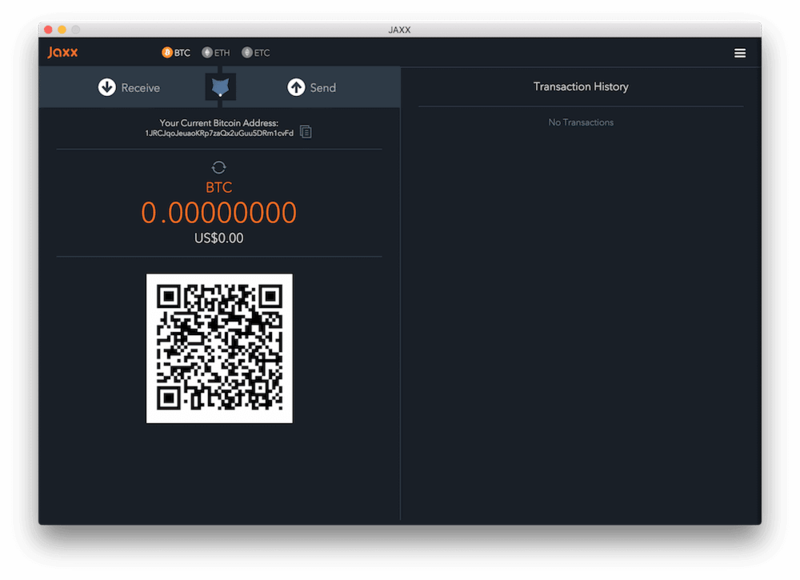 Jaxx makes it easy, safe, and convenient to carry your cryptocurrencies around. The app comes in all – Android, iOS, and Desktop versions. It utilizes a mnemonic seed for backing up the wallet or for transferring it to another device. The app enables you to scan the QR code, get funds, view the crypto holdings, among a number of other services, all within the scope of a single intuitive app. It comes with a number of advanced features as well, like multiple platforms wallet linkage and shapeshift integration. These features make the app an ideal wallet for the technology savvy group of users. The only shortcoming with this one crypto wallet app is – it comes with quite a steep learning graph, and the features may or may not work equally well with every single one of the new integrations. But in some more time and with some tweaks, the app will establish itself as a reliable solution. The Bitcoin Wallet app is one popular app, which enables you to manage your personally held Bitcoins. The app is backed by crypto brains at Coinbase – a name that attaches automatic trust with Bitcoin Wallet. Using the application, one can easily sell, buy, and even spend their Bitcoins, all the while managing their crpto account. One can think of The Bitcoin Wallet app as the PayPal app, but only for Bitcoins. Using it, users can even request and send Bitcoins to other people. The safety feature that it comes attached with, allows its users to remotely disable the access to their phone in case the device is stolen or lost. The user interface that the app comes with is pretty good with a lot of Google Material Design beauty. 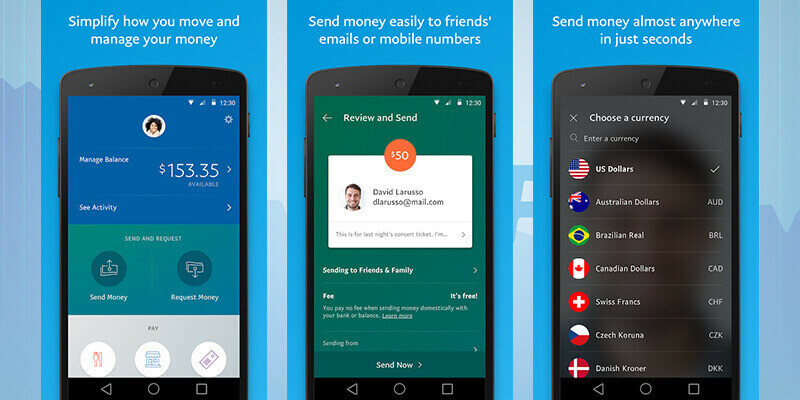 “7 Features A Mobile Wallet App Should Have!,�? “Mobile Wallets: Best Way to Serve Customer Engagement Via Several Ways,�?